The Mininch WrenchIt offers a versatile and easy to carry wrench solution for any utility job. 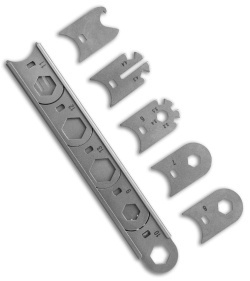 It has a flat, innovative design, that stores 5 wrenches in the handle and slides them into place when needed. Item includes 5 additional wrench sizes and a convenient nylon carry pouch. The WrenchIt is constructed from stainless steel with a durable matte finish. Box End Wrenches: 7mm, 8mm, 9mm, 10mm, 11mm, 12mm, 13mm. 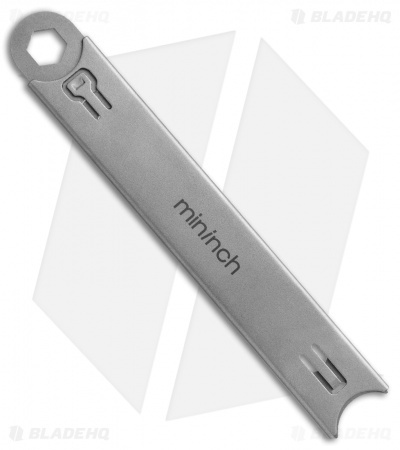 6mm Box End Wrench: With built in 3.2, 3.4, and 3.5mm spoke wrenches. Wing Nut Wrench: With built in Shimano 4.3mm and 4.4mm spoke wrenches.